Playing Nasus has never been so fun. With the increased stacking ability on his Q, Nasus can quickly become an incredible threat at the cost of low map pressure. His stacking power as a jungler isn't capped by minion spawn times, so his stack speed is only limited by his clear speed. Check out how to play him below! 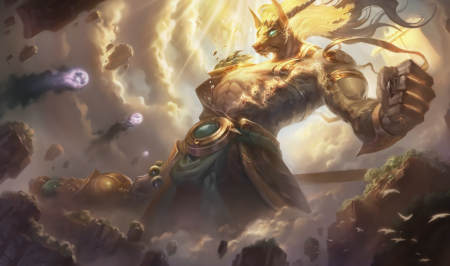 Ever since Patch 9.1, Nasus now receives 12 stacks per large monster (or minion/champion) kill, doubled up from 6. In the jungle, this means he can consistently power farm up to hundreds of stacks at about the same speed as lane Nasus early game, then increasing in speed from mid to late game. Since he's not capped by minion spawn timers in jungle, once he's one-shotting minions he can stack very very quickly. 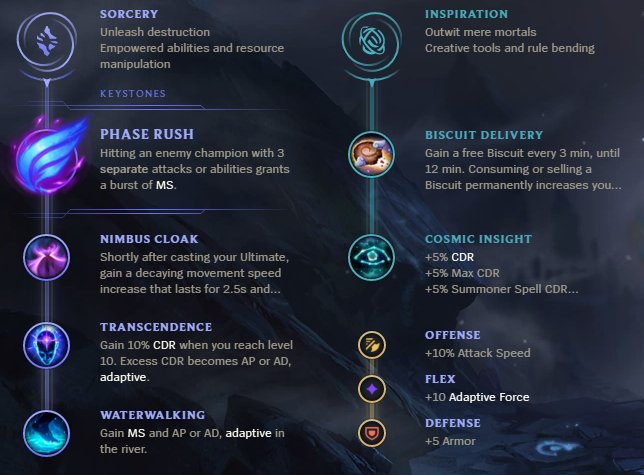 In lane, Nasus needs to utilize resolve masteries in order to survive through the early game and become a serious threat. However, as a jungler he can freely pick up the Phase Rush, Nimbus Cloak, and Waterwalking masteries. This along with the two CDR masteries allows him to maximize his Q stacking speed and stick to enemy champions with his move speed boosts. This version of Nasus also gets access to the Cinderhulk jungle enchantment, giving him a high level of bulk without needing to build early tank items. The Stalker's Blade also gives him additional crowd-control, something that Nasus sorely needs in order to stick to enemy champions when his wither [W] is on cooldown. As a jungler, players are expected to apply pressure to lanes and battle for vision via scuttle crab in the early game. Nasus has few tools that enable him to do so, and he'll generally want to secure his buffs using his Q instead of using smite. This allows enemy junglers to capitalize on counter-jungling and take advantage of Nasus trying to get early game stacks. As a jungler, Nasus is expected to push objectives and be available to assist with buffs. As a result, he isn't allowed to split-push to his heart's content (and farm stacks) continuously during the mid to late game. During this time, it's easy for Nasus players to start falling off without the ability to free-farm stacks. Nasus jungle can become incredibly strong if he's allowed to free farm and continuously stack until he's the biggest dog around. However, he does sacrifice a lot of map pressure to do so and thus doesn't fulfill the traditional jungle expectations. If he always makes a bigger impact than the amount of impact the enemy jungler can make ganking lanes early game then it's worth investing into. However, if he loses map pressure and gets counterganked, it's tough to say it was worth it. As a result, we're putting him as a Tier 2 right now but he can certainly perform a lot better than his tier would imply.